Saving the planet, one bee at a time! 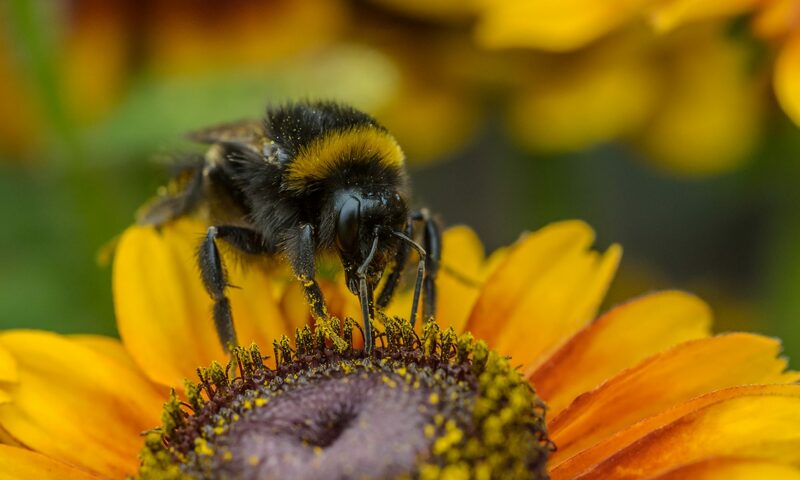 By setting aside space in our gardens for nectar and pollen rich plants we can considerably improve the chances of stabilising the local populations of bees. Flowers include borage, phacelia, eschscholzia, poppies, nigella, gypsophila and ammi majus. The minimum order is 2000 packets and the price varies, depending on quantities, from 60p to 85p per packet. Our sister company Higgledy Garden sells this seed mix at £1.95 per packet. The packets can be printed to any design and can carry any message. We can organise a design for you or you can, of course, use your own design people. These bee-friendly seeds have proved very popular with fundraisers. One of our clients has sold 100,000 packets in two years (with promotions running for just two weeks each year) with a guide price of £2.50. A third party dealt with the distribution, so our client didn’t have to handle that side of things, or even take delivery of the seeds. Another client, a restaurant chain, has given 5000 away to their customers as part of drive to highlight their own sustainability policy and eco-credentials. With your help we are hoping to deliver one million packets of seeds to gardens throughout the UK each year. If you’d like to find out more about us, are interested in sponsoring seed packets for your company or event, or have any other questions, please complete the form below.